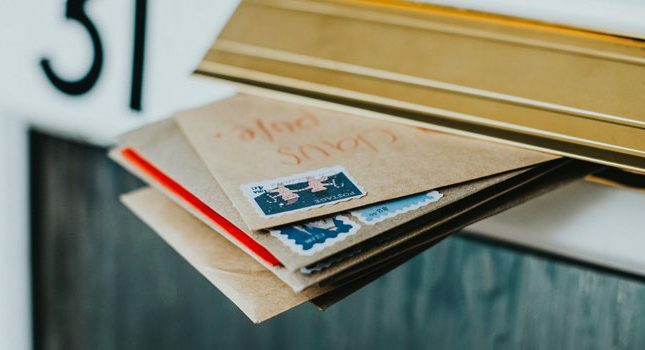 Side Cash Reviews Should You Become a Pink Zebra Consultant? Should You Become a Pink Zebra Consultant? If you’ve attended any kind of arts and crafts trade show, especially during the holidays, you may have already seen Pink Zebra. Or maybe you were approached by a Pink Zebra consultant and introduced to this company and its products. Maybe at some point you even signed up to be a Pink Zebra consultant. Regardless, I’m going to review Pink Zebra and go over the pros and cons of signing up with this company in order to work from home as one of its independent consultants. 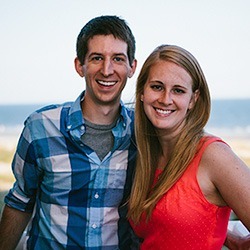 Pink Zebra is a relatively new business on the scene, having been founded in 2011. The company operates as an MLM direct sales organization, meaning that it sells through independent contractors, not employees. These contractors, who are called consultants, are compensated with commissions when they sell product and when they recruit other consultants. Because those recruited consultants eventually recruit other consultants, the original consultants at the top of this many-leveled marketing pyramid can make significantly more money from their recruits than their own individual sales. You can purchase several jars of Sprinkles and mix them together when creating a unique candle scent. Once all the mixing is done, you just add a wick and have your candle. In addition to Sprinkles, Pink Zebra also offers scented jewelry, candle containers and shades, wax simmer pots, air freshener hangers and clips, and select bath products. The company’s online catalog for these products is extensive. There’s even an outlet area, complete with clearance merchandise. Other sections of the website are devoted to recruitment of independent consultants. Signing up as a consultant is heavily encouraged, and the rewards of becoming a consultant are also strongly touted. What are Pink Zebra consultants? Pink Zebra consultant are contractors who sign up with the company to sell its products via direct (person-to-person) sales. Consultants can sell Pink Zebra wares by hosting parties, by posting their products on social media platforms, or by conducting private one-on-one consults. Consultants sign up to Pink Zebra by buying one of two starter kits. The smaller kits is $99, while the larger one is $199. Inside these kits, the consultant gets small batches of Sprinkles products, marketing materials, invoice pads, catalogs, etc. The deluxe kit comes with the blue-gray Boho candle shade shown in the photo and Pink Zebra backpack. Consultants are compensated at with 25%-35% commissions depending on their product sales volumes. This is a fairly good commission level given that it does not yet involve any recruitment. However, if a consultant were to personally recruit someone else, s/he would earn quite a hefty 7% commission from that recruit’s future product sales. Commissions continue to build as recruited consultants personally recruit other consultants. 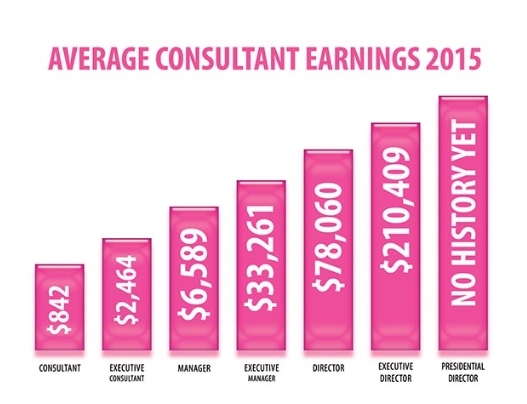 Pink Zebra consultants earn an additional 2% on their team’s sales. Pink Zebra also offers online training videos, monthly webinars and access to a Web-based workstation called “ZebraNET” for tracking orders, tracking your team’s progress and accessing your training tools. Pink Zebra: As good as it sounds? All the above-noted commissions and training materials make Pink Zebra sound like a really decent at-home business opportunity. Here’s my breakdown of the pros and cons of this business. The problem with having two parties each week is that that entails a lot of work. 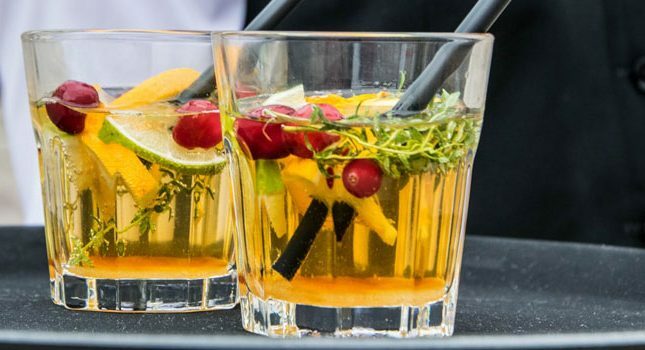 House cleaning, prepping food/drinks, inviting guests, post-party cleanup…there’s a big reason why people don’t want to host parties at their house. Even during those obligatory house party holidays like Easter or Christmas. In the above graphic, Pink Zebra states that, somehow, having eight parties each month will take only 25 total hours or about 3 hours per party. Somehow, I find that hard to believe. Food prep alone takes a few hours. For a Pink Zebra party, I would also need time to prepare product samples, lay out ordering forms, process orders, etc. Also, after hosting one or two house parties, who would be left to invite (again)? eBay is booked– I did a quick search on Pink Zebra products for sale on eBay. To my surprise, I located over 70,000 listings. 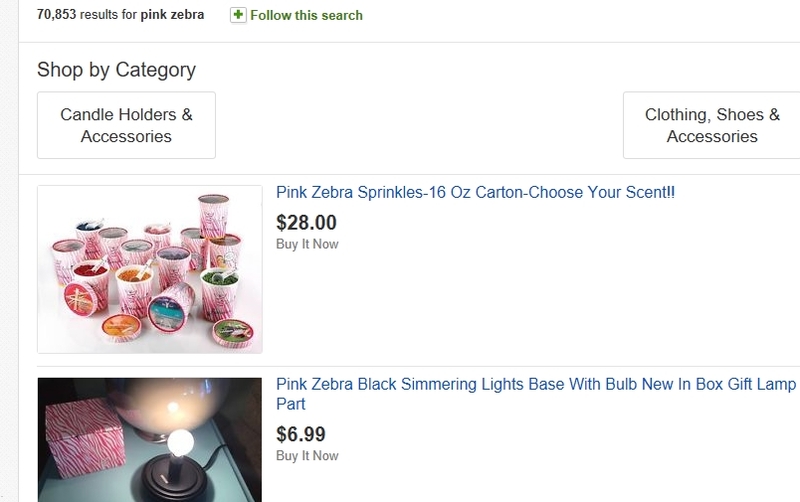 In some cases, the products being listed on eBay were going at far below their retail value on the Pink Zebra website. This tells me that some consultants are dropping out of the program- and creating a sales hole for other active consultants who still wish to sell their products at full price. Pink Zebra offers quirky, unique and good quality products. However, its business model may not be as lucrative as advertised. Also, for the work you’ll be required to put in to make that $1,120/month in profit, you’re better off starting a different online business instead. Finally, even $1,120/month does not make for a full-time wage, so you’ll be keeping your regular job. Have you experienced Pink Zebra as a customer or a sales rep? Let us know how it went in the comments below. You are incorrect Steve R. The prices currently listed on eBay for Pink Zebra items are either AT catalog price or higher. I started selling in April 2018 and love it. Pink Zebra truly has changed my life. I love this company and being an independent consultant gives me freedom to work as much or as little as I want. Please email me with any questions. I am a Senior Manager with Pink Zebra and joined in April 2016. In two years, I have earned two all inclusive trips for two, promoted three times and have a pretty decent size team. In my first year I was #13 for sales and #8 for parties. The two parties a week is having a host throw a party. I am not cleaning or cooking, I just get a night out with the girls. Also, 75% of my business is run through Facebook parties; no cooking, cleaning or bras required! In two years I am making about $300 less a month then when I was teaching full time. This business is like any other and you get what you put in. Like others have said the ideas behind the consultants hosting two parties a week is incorrect. We have superior products and that is why we have so many return customers. I work when and how often I want and I can’t say enough about this company and the opportunity to become part of the Pink Zebra family. Best decision I have EVER made! I can’t make any money with it but I have been with Pink zebra for five years. There is one thing about the product. It makes people smile and you can connect with people and hear their stories. I definitely put more money in it then I get money out but the stories of people and the way you can make people feel good with the product is a benefit not mentioned here. I wouldn’t advise anyone to go in for the sale and money making but join for personal enjoyment and for getting people together and for their smiles. I have been a Zebra since December 2011. I LOVE LOVE LOVE our benefits vs other companies, mostly because we keep our commissions upfront in of having to wait a month. We also get our commission from day 1, not after we have $XXXX in sales like the *S* company does. In my years of being a Zeb, I have held 3 home parties. Yep ONLY 3. I do over 80% of my sales at festivals and schools where I set up my booth with product on hand. Out of that 80% more than half are repeat customers from prior festivals. You put me in a room with any other candle/wax person and I will out sale them 5 to 1. The rest of my sales are people that COME TO ME to purchase. BTW this article could have any MLM company’s name on it instead of PZ. Most people who sell do not have parties at their own homes. The parties take place in the homes of a host. You make it sound as if all of the food prep, cleaning, etc.. would be the responsibility of the consultant. This isn’t generally how it works. Not for or against this product but some of your arguments seem a little invalid. This is was one. She asked 5Pibk Zebra or Scentsy … that’s a no brainer … SCENTSY hands down!!! Interesting info. I’m considering becoming a consultant because I like the product and I like the idea of selling for benefits (for community and worthy projects). I just purchased a couple items that way and like what I bought. I’m not interested in making a ton of money but in making a little along the way and being able to have a discount for my own purchases. Joy, did you ever look into becoming a consultant? I think you will find some drawbacks in any direct sales company. I have been with Pink Zebra over 5 years. I am a Director. Have I always been excited about everything to do with PZ, No? But the good out weights the items I don’t like. I won’t leave this company. I make too much money, have fun with it, and meet some great people including the Owners. I have earned all incentive trips. and I have a large team. Pink Zebra is at the bottom of the commision totom pole. Mary kay 50, avon 50, paparazzi 25, lularoe buys for 10 sells for 25! Our only selling item is 9$ and most people buy 1 or 2. So at most 4$ a sale. I’m researching because I want to make some extra money. So my question is Pink Zebra or Scentsy? We are at 25% from day 1. Yes the make up companies are 50% but their products are much more expensive. LLR costs over $5000 just to get started. You are totally not being fair. While the products are amazing the company does not have good standards. Far too many people are convinced to join and left with no clue on what to do next. The representatives that work with the consultants are not any good. They do not listen to the issues and they do not care about problems that consultans have. The 25% is a joke. The best selling item is 9$ so you make a whole 2$ a jar. On top of that NOONE does home parties any more it is all about facebook parties and who wants to buy what they cant smell? The product quality has dropped in the past year causing many complaints. And the companies pushes peiple into contracts they arent able to get out of under false guises. Did someone twist your arm to join? I can’t say I have ever forced anyone to do anything. The issue is NOT with the the reps of our company but with the ones that recruit without caring about learning the system. I have been a Zeb for almost 6 years and I had no one to learn from but myself. I have to disagree with you Lisa. Average parties are about $500 in sales leaving the consultant walking away that night with $125 in their pocket. $125 in 2 hours is not too shabby. Pink Zebra allows us to retain our base commission right up front. After selling across the country for the last 5 years, I have yet to hear complaints about our product quality. As for parties, you would be surprised! People enjoy getting their friends together to play in some sprinkles. We teach you to share an experience, not just products. Some of us are very successful with Facebook parties too. It is all about hostess coaching, including sending samples to your hostess and guests. As someone who travels full time, facebook parties are my biggest parties. As for your team, you make commissions from your first recruit. No waiting until you hit a certain level. Our minimum qualifications are $150 in sales every 6 months which is drastically different from other companies out there. I am a tad offended that you have lumped all consultants together. We take pride in training our team. Pink Zebra has training for all consultants from day one and our team trains weekly. I suggest interviewing consultants before you join. Find someone who you would work well with. I saw you mention eBay as having 70,000 sales on Pink Zebra. Not all of that, in fact most of that, has anything to do with this company. Pink Zebra prints or any Zebra prints are popular patterns for purses, handbags, luggage, clothes, phone cases and so on. So really not an accurate statement to say ALL of those listing are for disgruntled soon to be former Pink Zebra consultants. In fact, Pink Zebra direct sales products makes up a very small percentage on eBay under that search of Pink Zebra. I started Pink Zebra 3 1/2 years ago. I have moved up ranks really fast in the company! Yes, I do parties but it’s not just about parties with Pink Zebra! Pink Zebra is about changing lives and changing lives forever! Wow, 3.5 years is quite impressive! What are you doing outside of parties to continue to grow? The good quality products and the higher than average commissions that Pink Zebra offers consultants seem attractive. However the not so good points that you have highlighted are not encouraging. The low earnings and the parties are a no-no for me. You are right, two parties each week is a lot of work, and with so many listings on eBay it’s going to be highly competitive. There are benefits and drawbacks to pretty much every MLM. I’m not a big fan of these ‘throw a party’ style MLMs because you will quickly burn through your contacts. There are only so many times your friends and family will respond to your party requests. A familiar company ‘template’, that has been around for decades. Many come, many go, but the business lasts a few years before folding. Not saying that they all fail, but getting started is hard, and the hours/compensation is not so rewarding. But the money is in the recruiting. If you know how to recruit, and keep people inspired, with great products like these, you should be able to make a success of it. Others selling on Ebay does not help, and could cause the business to fail. Thanks for the comment Greg. The business template isn’t anything new. It’s the same MLM and direct sales format we’ve seen years over. There is money to be made, but most people won’t hit the higher tiers and a lot could end up further in the hole than when they started. Nope honestly bro im not going to be trying out Pink Zebra, that whole “bringing the party” sales tactic on a daily basis is gruelling and i know from doing some wine sales in the past which had a similar premise. Sure thing Marley! If you have the hustle and the influence, these things can be good opportunities. But you do need to get out before the interest dries up, otherwise you will be stuck with a ton of product you can’t move. I have seen people mention Pink Zebra on social media before, but I didn’t have a clue what they sold. I did find the name interesting, so thank you for the detailed information about what these consultants are selling. I’m going to think about getting some of the candles because I love the way the sprinkles look….thank you so much for posting the pictures. If you are interested in the products themselves, I’d look to somewhere like eBay. You could usually get a nice discount on the retail price and you’d be helping someone unload inventory they’ve been stuck with. I’m not a huge fan of the “throw a party” business model. It tends to force your friends and family into high-pressure sales situations where they feel obligated to buy something they don’t want or need at higher than retail prices.